Hampshire County Council has said it is considering introducing a 50p fare per journey for holders of the English National Concessionary Bus Pass (ENC). Currently, ENC pass holders are entitled to free local bus travel between 0930 and 2300 on weekdays and at all times during weekends and bank holidays as a minimum. This is backed by government legislation, and to try and impose a fee would be illegal. However, Hampshire is citing the results of a recent consultation that point to a willingness by ENC pass holders to pay a nominal sum for their bus journey provided this is ploughed back into the local transport network. 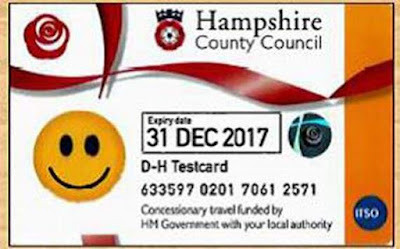 Hampshire says all the 50p fares would generate £4.7 million and that this would cover the cost of all the county's existing bus subsidies and community transport. The ENC pass was first introduced on 1 April 2006, initially only offering free local bus travel in each authority's own area. This caused considerable limitations to those passengers who lived by a county boundary and whose bus service linked them to their nearest town which happened to be in another county. These passengers would be entitled to free outward travel, since the ENC scheme requires the local authority in whose area the journey commences to cover the cost of the journey, but they would be forced to pay a full adult fare to return as their return journey from the shops would commence in an authority's area in which they were not resident. This was remedied from 1 April 2008 when England-wide free local bus travel was introduced, again paid by the authority in whose area each journey begins. This is the scheme that has been running ever since. While free journeys cannot legally commence until 0930 on weekdays, the legislation allows authorities to commit their own funds to enhance this offering. 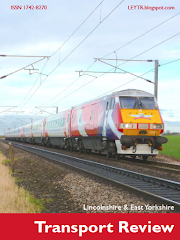 Lincolnshire County Council, for example, allows free travel at all times, though only to its residents. Those visiting from elsewhere are still required to pay to travel before 0930, for example. Hampshire, along with other authorities who are located on the coast, suffer disproporionately from most 'landlocked' authorities as they receive a large number of seasonal bus journeys. Many residents from South Yorkshire, for example, visit Cleethorpes and make use of the network of local bus services there every summer, whose bus journeys North East Lincolnshire Council is legally required to reimburse local operator Stagecoach for, yet a similar percentage of NELC residents do not head inward to Sheffield or Barnsley for their holidays and make use of the network of local bus services there. This Isle of Wight has reputedly the lowest reimbursement rate of any local authority in the country, indicative of the high number of ENC-entitled residents and seasonal visitors making use of Southern Vectis's services. This is another major stumbling block with the ENC bus pass. The money local authorities receive from central government is not ring fenced. There is no legal minimum they have to reimburse bus operators, either. If the Adult Single fare is £3, the local authority does not pay that £3 to the operator. No, they pay a percentage of the average fare for that specific route. It all gets rather complex, but in the main, bus operators receive under 50% of the average adult fare for every journey made. if Hampshire is feeling the pinch, you can be sure its local bus operators will be, too. A few years ago, East Yorkshire Motor Services had a loss-making service in Hull that they were cross-subsidising from their more profitable routes. However, they situation became too strenuous and so the company requested that ENC pass holders using the route - the majority - consider a voluntary contribution towards their fare. This saw a significant up uptake, but was slapped town by the DfT who wrote to officially warn EYMS that in their eyes they were breaking the law. And so the service was withdrawn without replacement. It's interesting that Hampshire wants to keep the 50p for itself, presumably hoping it will be allowed to retain the current reimbursement rate it has set for the local bus operators. I would imagine Stagecoach et al to contest this. The money they are legally owed by the local authorities is not subsidy, it is reimbursement for revenue foregone, something the local and national media and MPs seem to be ignorant about. First is a major player in Hampshire and would likely have an opinion on the local authority retaining all of any additional flat fee charged per journey made on its services. Would a government with no working majority in the House of Commons and whose traditional support is from those entitled to an ENC bus pass really consider scrapping the concept? Perhaps a political third way, so oft used by Labour under Tony Blair, could be introduced that would enable the government to save face. They could announce the ENC bus pass would continue to offer free local bus travel except if a local authority chooses to introduce a nominal flat fare of 50p per journey maximum, with the revenue generated ring fenced to protect local and community services. 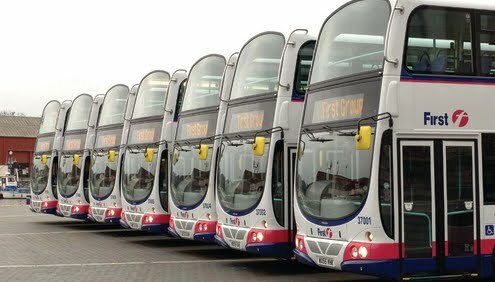 The government first committed around £1 billion for the ENC bus pass in 2008. While this has remained broadly static, the costs for bus operators in the past decade have risen considerably, yet the ENC reimbursements have not. This means fare-paying passengers are bearing the brunt of operator cost rises through higher than normal increases in bus fares. While this may not change if the Hampshire model is introduced, there would at least be revenue generated so that marginal bus services do not disappear. 9:30? Around here it's 9am but holders of the pass seem to think it should be earlier still. Bus drivers call them "twirlies" as they stop busses before their pass is valid and then berate the driver because he or she has to follow the rules. Your post is really very informative. Thanks for sharing this post with us.